Board books are the perfect format for introducing babies and young toddlers to the wonderful world of reading. They are sturdy enough to endure being chewed or sucked on and the thicker pages are easier for little hands to turn without tearing. There are many delightful and educational board books to choose from, but here are three that both my daughters and I enjoyed. Pat the Bunny (Touch and Feel Book). Someone gave me this sweet, simple book at a baby shower for my older daughter and we literally wore it out! I ended up buying a new one for our second daughter. I first read this book to a friend’s daughter before I even had children. She loved it so much that I knew my own children would like it as well. Lifting the flaps and looking for the mischievous dog leads to a fun ending! I’ve heard it said that babies enjoy looking at other babies’ faces and that certainly proved true for my girls when it came to this book. We enjoyed studying the expressions on each child’s face and talking about what they might be thinking. What board books have your children enjoyed? I am always adding new titles to my list of favorites. Be sure to visit Janna at The Adventure of Motherhood for her new weekly linkup entitled Feed Me Books Friday. I look forward to seeing what others are reading with their families. Amazon affiliate links are included in this post. 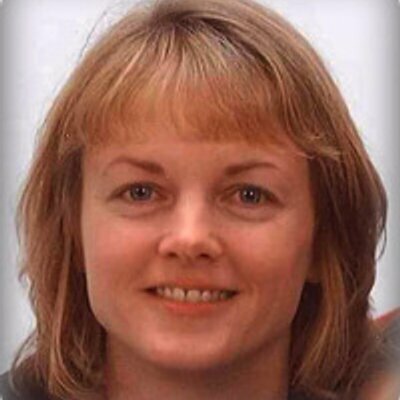 Hi Tracey… Thanks for visiting my blog. I ADORE your tag line on your header. "Striving to rear 2 precious girls for God's glory." That needs to be my mission statement since I have 2 girls as well and THAT is my goal. So positive and uplifting.I'll be back!! Found you through AdventureMom – We love the baby faces too! I will need to check out the touch and feel – my youngest (who's one) is very into sensory stimulation and loves to touch things. When my gal was little, I was a big fan of the Usborne brand of board books. They're extremely sturdy and durable, and they have great touchy-feely books too! You can find them on Amazon, on their website or through parties (like Tupperware!). The Eric Carle board books have also been favorites at our house (Brown Bear, Brown Bear, What Do You See? and The Very Hungry Caterpillar). 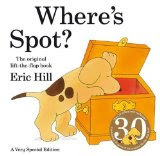 Oh, we love Where's Spot? at our house. Such a cute book! I am a big fan of the "Baby Bible" Board Books. They have different themes and have actions that you can do with your kids. We love Goodnight Gorilla. It makes us laugh every time! My son's first favorites were a chunky little board book called Open the Barn Door and one called "Peek a Who" by Nina Laden. He also enjoyed some Sandra Boynton books and a lot of word books. Pretty much ANYTHING by Roger Priddy. Looking forward to seeing your other posts in future linkups!